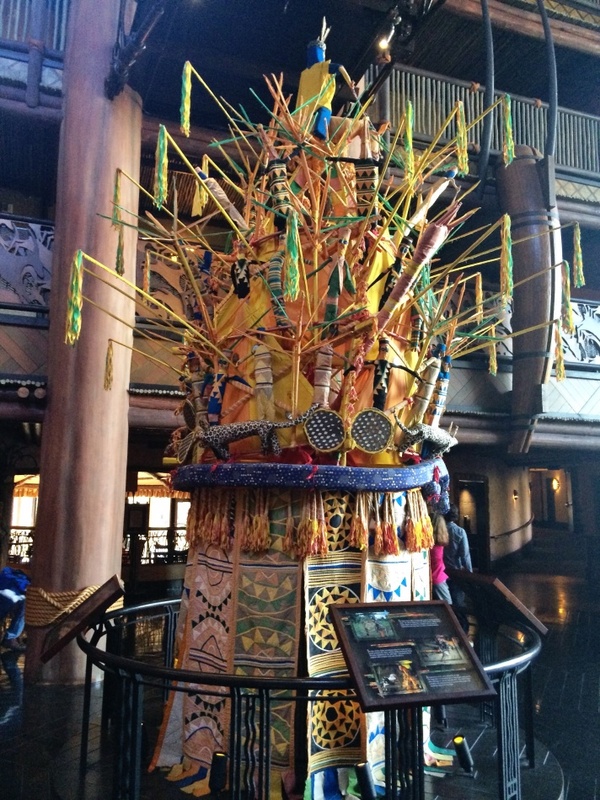 Disney’s Animal Kingdom Lodge isn’t just a hotel… it is an adventure that is almost indescribable. 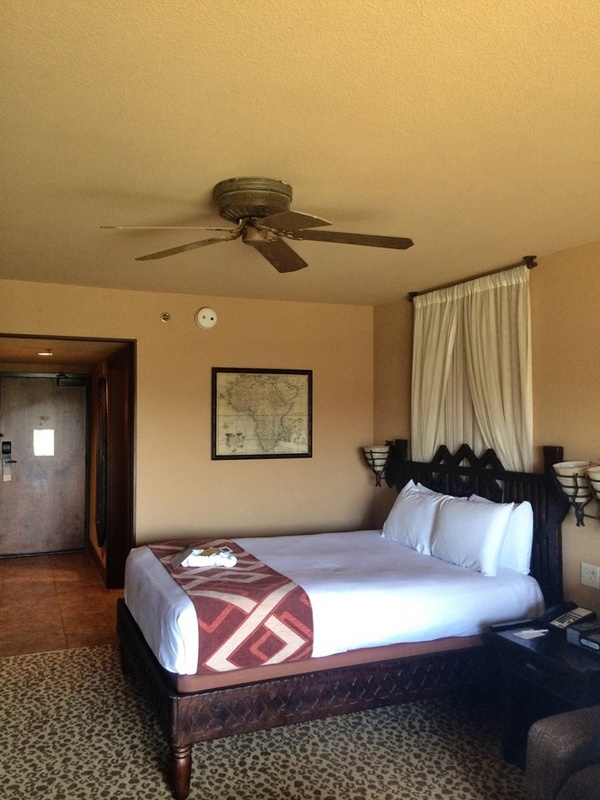 My husband and I have just returned from our trip that we booked through David’s Vacation Club Rentals and we were impressed with the entire process from start to finish. 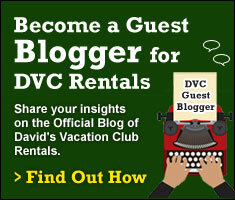 We rented our points in August of last year and found David’s website easy to navigate. We selected our dates through the calendar tool, understood the cost for our trip and submitted the form with our three choices of resorts. I was delighted at how quickly we received a response regarding our request and within a few days, our trip was booked. David’s also helped us schedule our transportation on Disney’s Magical Express airport shuttle service! Thanks to the staff at David’s, we arrived at Disney’s Animal Kingdom Lodge Jambo House with all of the information needed for check-in. Kimberly, a very helpful cast member, greeted us at the Jambo House entrance and completed our registration process. She linked up our MagicBands so that we could use them to access our room. We were also given a detailed map with directions to our Studio Villa. Exploring the hotel you will immediately notice the love and care that went into the planning and building of the resort. The lobby resembles a museum with African masks, artifacts encased in glass boxes and an indoor fire pit with welcoming rocking chairs. 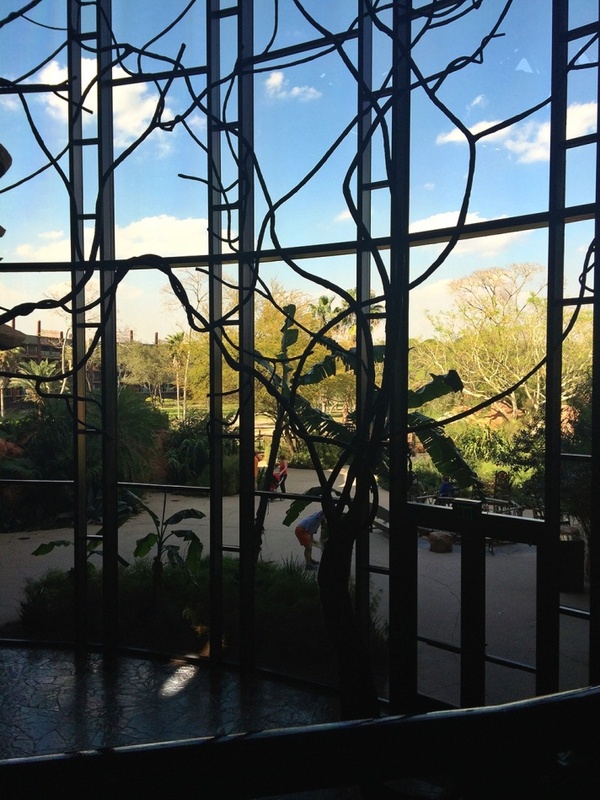 At the end of the lobby is a massive glass window overlooking the Savannah and it draws you in to take your first look at the animals residing on the plain. 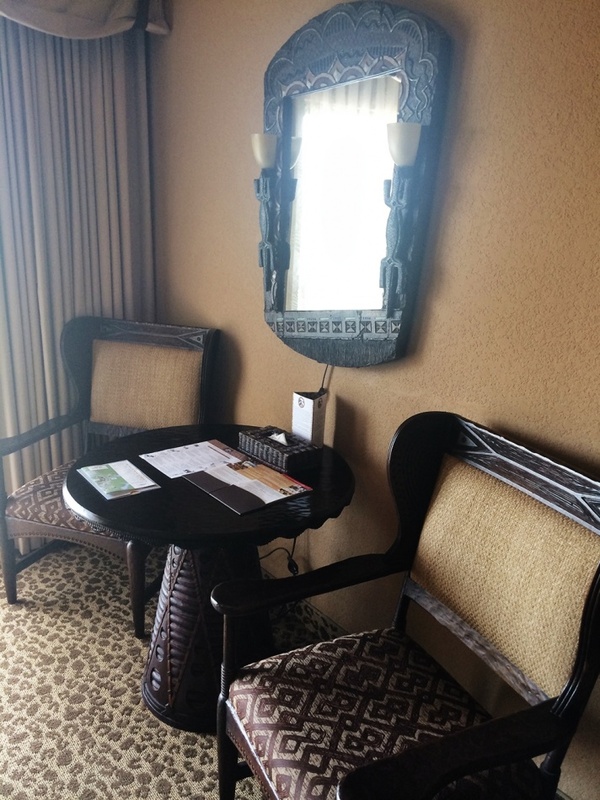 Walking to your room is a fun experience as you will note the hidden Mickeys in the carpet and historic facts about African life that hang in the foyers of each wing. 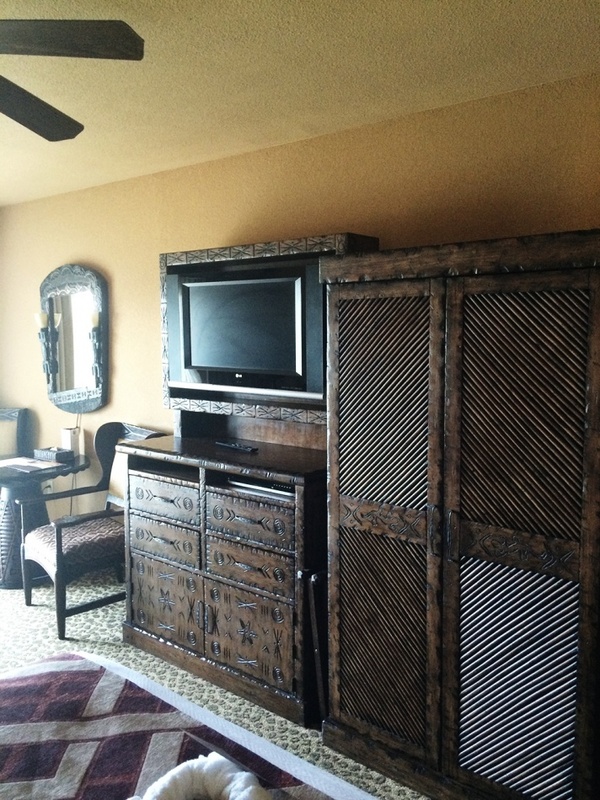 Every guest room bears a tribal shield and the hallway lights are striking replicas of djembe drums. 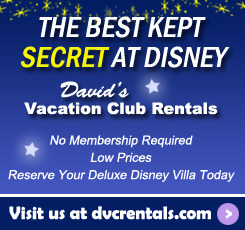 When you open the door of your Disney Vacation Club Villa, it will be love at first sight! 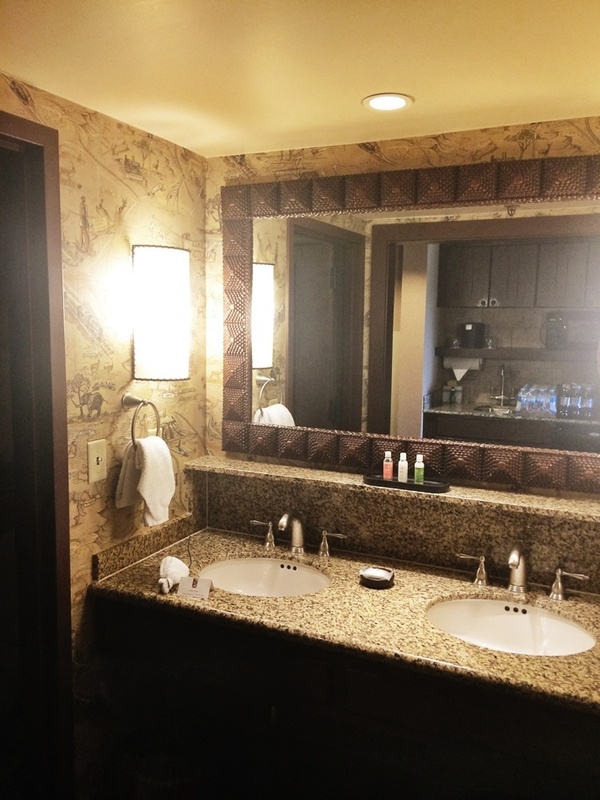 From the stunning carved furniture and artwork to the themed wall paper in the sink area… everything about the Villas was designed to fully immerse guests in an African safari. The Disney Vacation Club Villas have several conveniences to make your stay more comfortable than a standard hotel room. 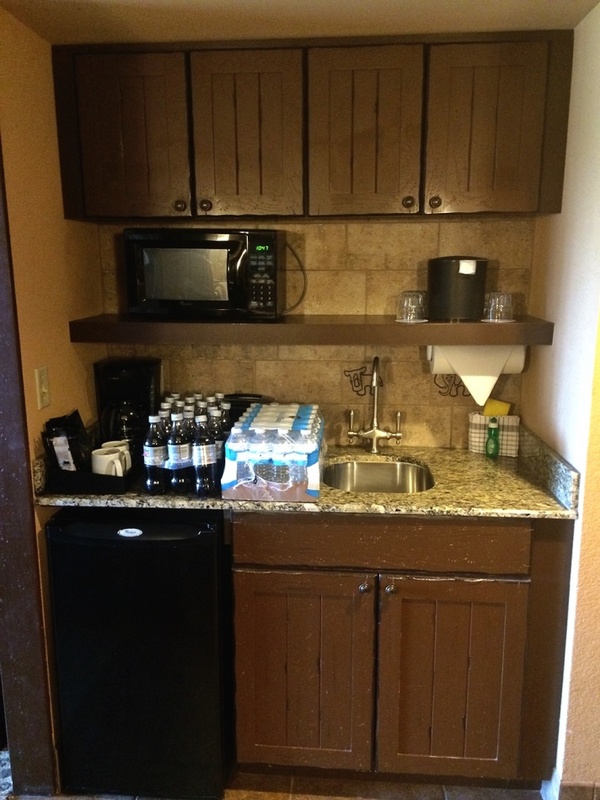 Our studio offered a wet bar with a mini fridge, microwave, sink and 10 cup coffee maker as well as a few kitchen items (plates, dish soap, etc.). One, Two and Three Bedroom Villas have full kitchens with granite counter tops and a washer/dryer. If you book a room on the Savannah, be prepared to be amazed by the landscape and have that camera ready! We spent half our vacation just sitting on the balcony taking photos of the sights. Like to swim? The Uzima Pool at Jambo house and Samawati Springs Pool at Kidani Village both provide a place to cool off in tropical oasis settings. Guests can purchase beverages at the pool bars and relax in a lounge chair while enjoying the Florida sun! 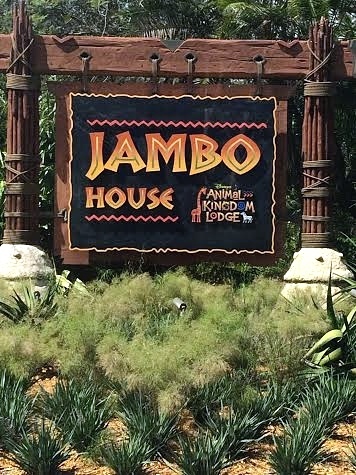 Jiko – The Cooking Place is a signature dining establishment located in Jambo House. Here you will savor steaks, seafood, samosas and other delicacies inspired by African, Mediterranean and Indian cuisines. Boma – Flavors of Africa, also located in Jambo House, is a breakfast and dinner buffet offering selections of roasted meats, grilled seafood and some made-to-order items. 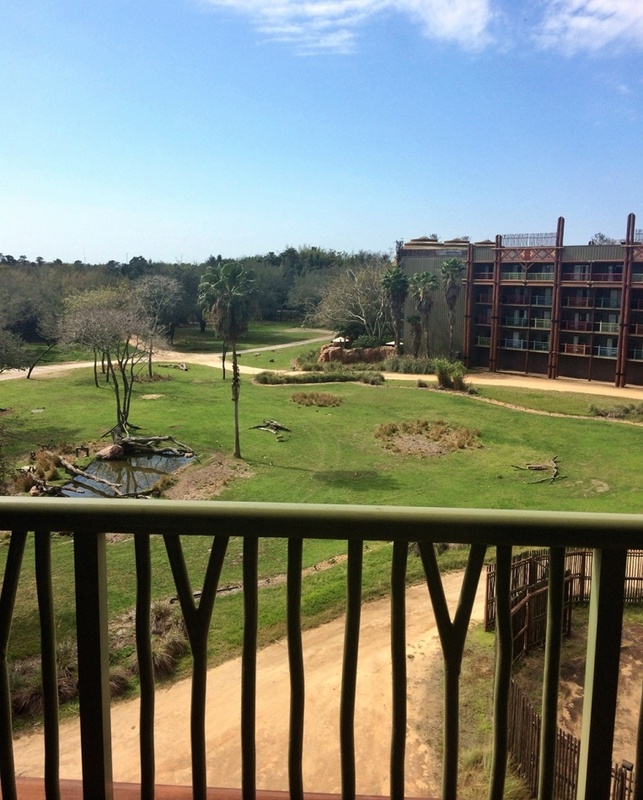 At Kidani House you will find Sanaa, a restaurant with sweeping views of the Savannah. Enjoy your dinner of African and Indian style dishes while sitting under the branches of the focal point of the restaurant; the acacia tree. 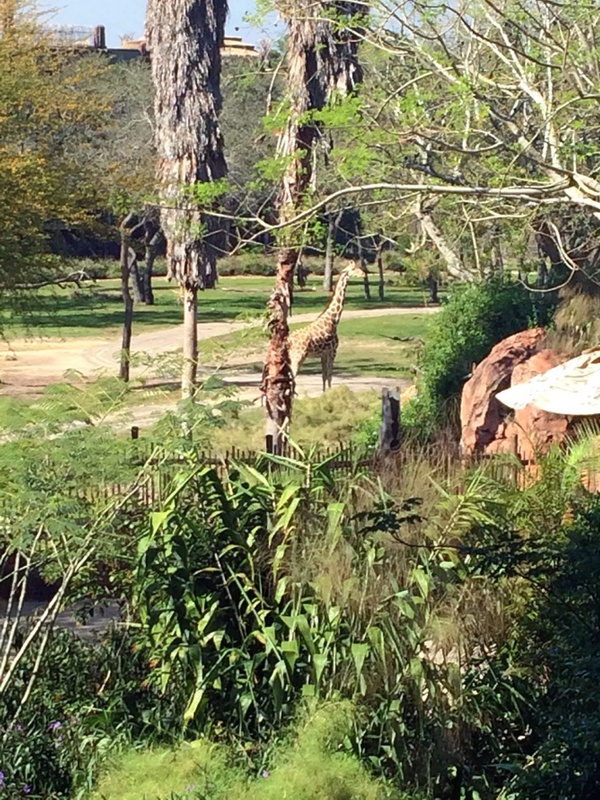 The Mara, Animal Kingdom Lodge’s Quick Service restaurant provides guests with a convenient dining option. Hot meals are prepared to order and the offerings range from burgers and fries to salads and tasty sandwiches. Guests can also pick up cereals, sweet treats and the lodge’s famous Zebra Domes desserts! The resort holds special events each evening including story-telling campfires for which guests are encouraged to bring a comfy blanket to sit on and snacks. Movies under the stars are a family favorite, as is an activity that permits guests to view the Savannah with night vision goggles. Be sure to inquire about the nightly happenings upon check-in! Disney cast members continuously say, “Welcome Home” to guests staying in Disney Vacation Club Villas and we surely felt like we were vacationing with friends. Every cast member that we interacted with was kind and offered us incredible customer service. The stay was unlike anything we have experienced before and we brought back a lot of photos to share with family and friends. 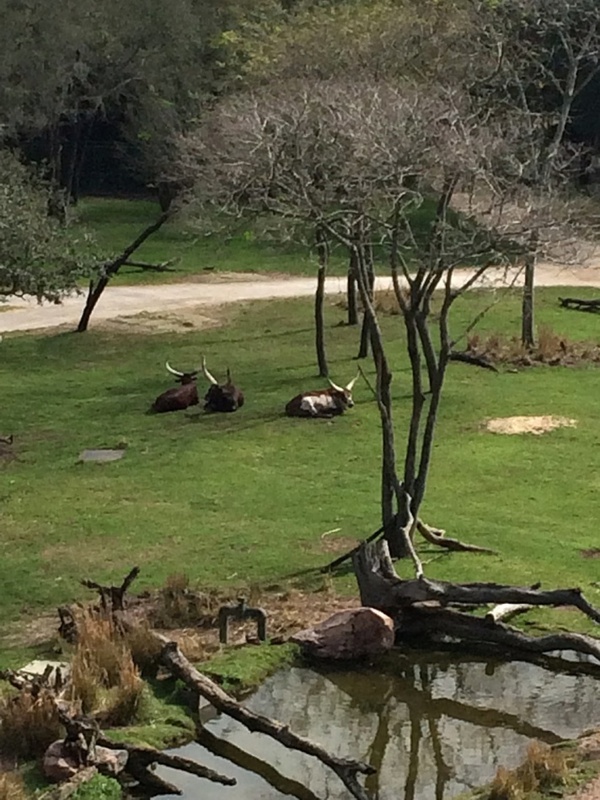 Our week-long safari is something that we will not soon forget and I highly recommend renting Disney Vacation Club points through David’s for your next magical get-a-way! Many thanks to our Guest Blogger, Cara Green. Cara has been a Walt Disney World fan since she got her first glimpse of Cinderella Castle while visiting the parks as a child. She and her husband have a fondness for exploring the shops and sampling the cuisines within Epcot’s World Showcase. Cara enjoys sharing tips and advice about Disney vacation planning with everyone she meets and these conversations have inspired her blog, Winnie the Stew. 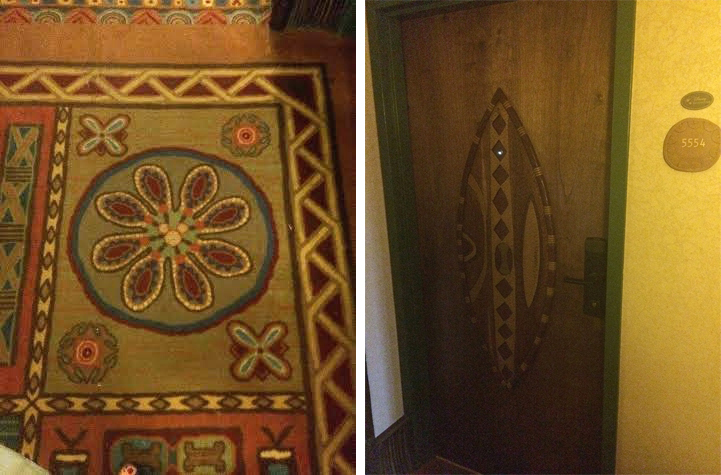 One thought on "Disney’s Animal Kingdom Lodge Welcomes You “Home”"